Already listed with our Phuket dessert and ice cream directory? Enjoy eating after a main dish with dessert and ice cream in Phuket to fulfill your special time. 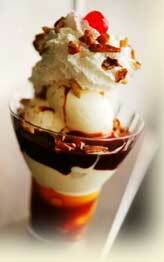 Choose the location in Phuket to be a place for dessert and ice cream menus by visiting Phuketindex.com. We give you an easy searching to access to all information about dessert and ice cream in Phuket.